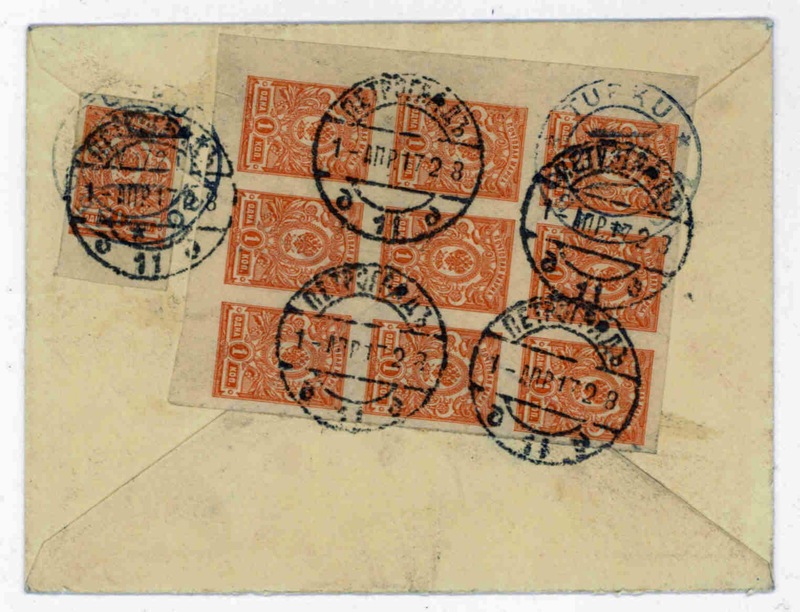 Michael Kuhn in Germany answered my earlier request for examples of earliest dates of use of Imperial Arms imperforates. His cover above now holds the position of Earliest Known Use. 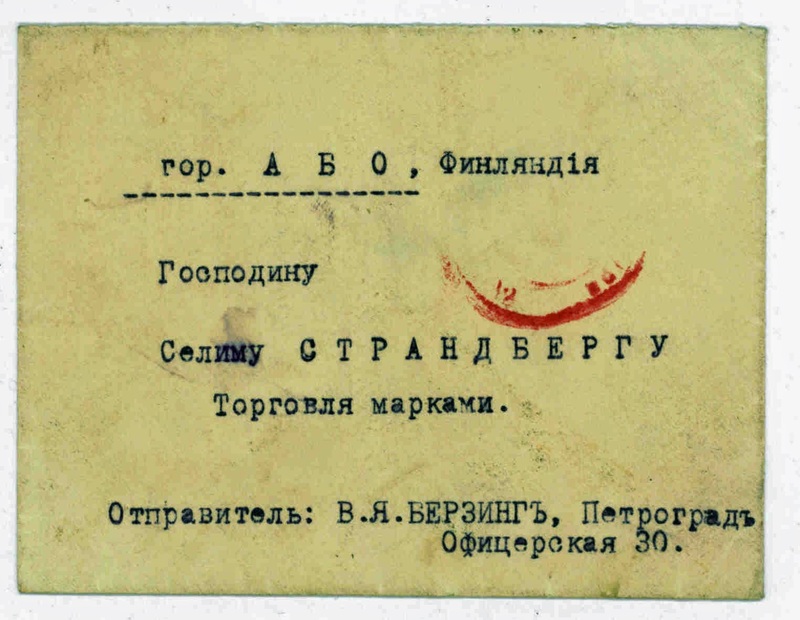 These 1 kopeck stamps were used to provide a correct 10 kop franking from Petrograd 11 on 1 April 1917 . 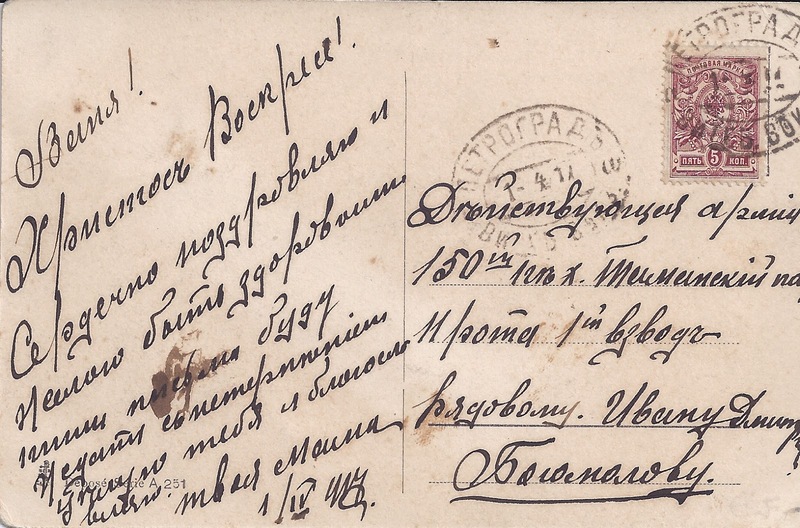 The letter is addressed to a stamp dealer in Åbo / Turku, Finland and has part of a red Finnish censor mark. Maybe this 1st April date can be improved on: can any readers find earlier dates in their collections, for any imperforate value? I don't count back-dated cancelled to order Baku or Tiflis or fake 1916 Riga!